+ B. Gottardo’s construction work on the city’s Bus Rapid Transit project is expected to help reduce gridlock in Mississauga, Ontario. B. Gottardo Inc./City of Mississauga – Mississauga Bus Rapid Transit Project www.mississauga.ca. With a growing population of appr- oximately 732,000 and its location bor- dering Toronto, it is no surprise that the city of Mississauga, Ontario, experiences traffic jams. But now, the city and general contractor B. Gottardo Inc. are taking steps to alleviate that problem, City Project Manager Scott Anderson says. B. Gottardo is building a portion of the city’s Bus Rapid Transit (BRT) project a high-speed transit corridor that will provide a dedicated roadway to transit vehicles. The $259 million project is a partnership between the city, the province of Ontario, the government of Canada and GO Transit (A Division of Metrolinx), which is a public transporta- tion provider. 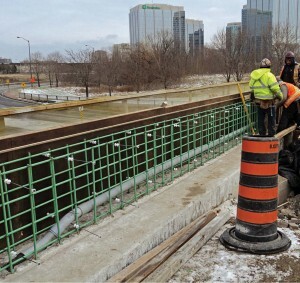 When finished in 2013, the corridor will stretch a length of 18 kilometres, connecting Winston Churchill Boulevard in the west to Renforth Drive in the east. 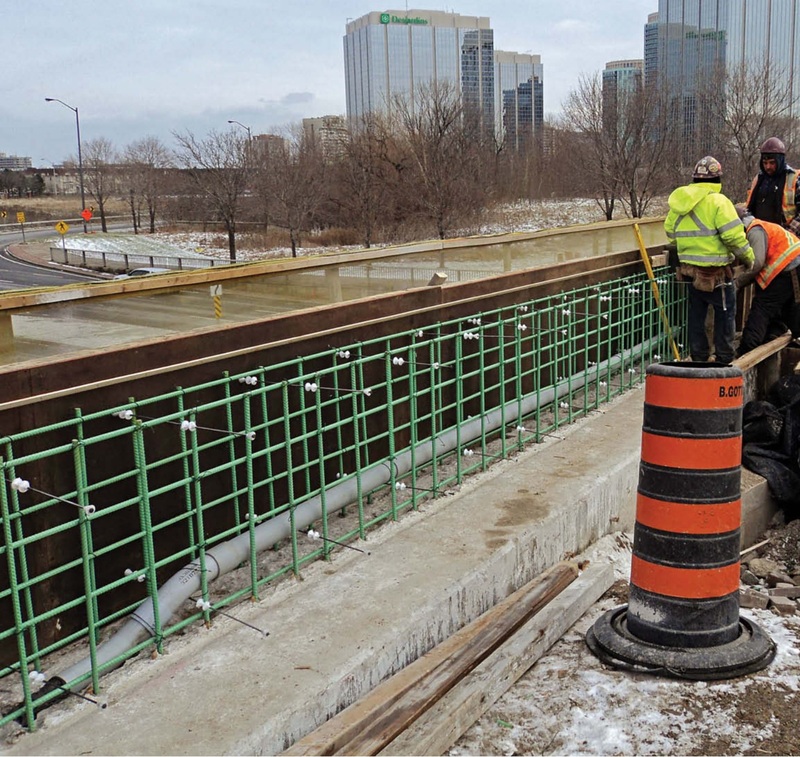 The corridor will run along the Highway 403, Eastgate Parkway and Eglinton Avenue corridors between Winston Churchill Boulevard and Renforth Drive. The BRT will provide all-station stop and extensive express bus service for thousands of riders on a daily basis. It will be a lower-cost travel option to people throughout the region and help reduce traffic gridlock. When complet- ed, there will be 12 stations in total. Additionally, the city of Mississauga has wanted to relieve its traffic congestion for a long time. “Mississauga has built out so much in the last 20 years that our 400 series highways are getting really congested,” Anderson says. The idea for the BRT corridor was developed in 1990 and was modeled after transit systems in municipalities around the world. This was as local as Ottawa, and as far away as Brisbane, Australia. “It didn’t really come to fruition until 2007, when the funding became aligned,” Anderson recalls. B. Gottardo won the contract for the first phase of the project, a new corridor that runs east from Rathburn Road to Fieldgate Drive. One of the largest challenges of this phase, Anderson says, has been obtaining access to the provincial lands that are regulated by Ontario Realty Corp. and the Ministry of Transportation, Ontario. Although the provincial agencies were completely on board for the project, “There were lots of ‘T’s [to be crossed] and ‘I’s to be dotted to get the project under way,” he recalls. Additionally, the project team has coped with above- and below-ground utilities on the job sites. “[We are] now coordinating the con- struction work with the relocations,” he says. While some of the utilities can stay in place, the vast majority are affected and require relocation. Anderson predicts some delay in the start up of construction on the next two phases, as the city works to obtain approval from the landowners. However, he predicts construction of the second phase will start by June 2011, at the very latest.